Product: black-and-white aerial detective film, aerial measurement film, high sensitivity and high resolution aerial photographic film, black-and-white high speed aerial film, black-and-white aerial photography film with wide tolerance, high altitude reconnaissance and measurement film. The film is coated on TAC base sheet with silver halide emulsion. It features fine grain, high contrast, and high resolution. It is mainly used in medium and high altitude aerial detective and shooting photography. The film also features excellent flexible development. Image with various slope and density can be achieved by changing developing time, developing temperature, or modifying parameters. So, this film could be used for photography in various climate. The film is coated on polyester base sheet with silver halide emulsion. 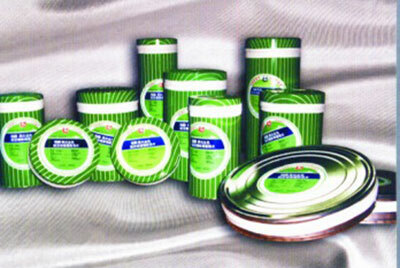 It features high sensitivity, fine grain, moderate contrast, high tolerance, stable physical dimension, and anti-curl. It could be used for aerial measurement and aerial detective photography. 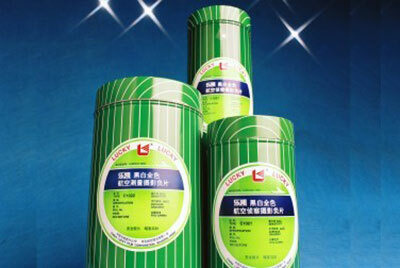 Lucky high sensitivity and high resolution aerial photographic film is an aerial photographic negative film which was developed lately. It is applicable to both high speed processor with high temperature, and manual or electronic processor with normal temperature. The film is coated on polyester base sheet with silver halide emulsion. It features high sensitivity, high resolution, and stable physical dimension. It could be used for medium and high altitude aerial photography. The film is a kind of black-and-white panchromatic high speed aerial film, applicable to low altitude with high speed photography, and also applicable to night (with very-light flares), dusk, dawn and complicated climate aerial detective photography. The film is coated on TAC base sheet with silver halide emulsion. It is a kind of medium speed, medium contrast black-and-white panchromatic infra-red sensitive aerial photographic film, and it is excellent to show the forest, plant, water area and outline, especially is good at overcoming the influence of smoke and fog. It could be used for aerial measurement, resources survey and detective photography. High altitude reconnaissance and measurement film mainly be used for spaceflight, high altitude and incline photography.